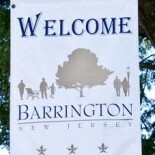 Contact Barrington Bulletin at BarringtonBulletin@gmail.com. Anyone know what’s up with barrington soccer?are they shutting down? I keep hearing they are having problems. My son plays in rec but can do travel next fall. can’t get any answers. should I go to a different program? noticed there are not many posts anymore. Yes – I just haven’t had the time to devote to it I used to have (especially after I changed jobs in January). I try to keep update on the Facebook page when possible (including Harvest Festival info this week).